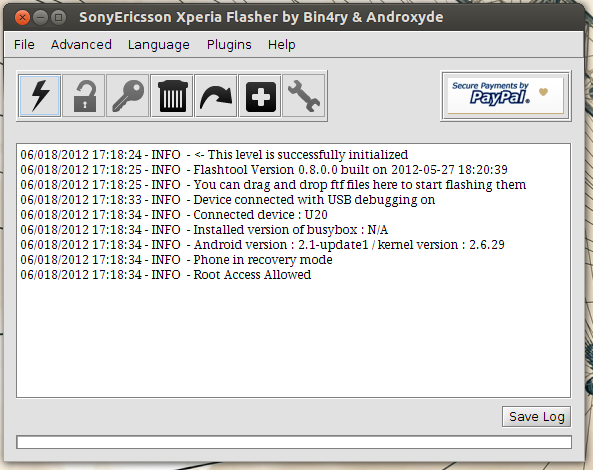 ICS on Sony Ericsson Xperia X10 Mini Pro! Let’s be honest: starting from zero it’s a huge process, but it’s possible. This procedure is a bit complicated and needs some skills. I can do (and I did) almost everything from GNU/Linux. the phone must run the stock image. Latest 2.1.1.A.0.6 SE firmware is required for bootloader unlocking procedure. A super clean phone (no data and crappy bloatware). One of the most recent mobile operating system: Android Ice Cream Sandwich. All the goodies provided by CyanogenMod: the ROM I installed is MiniCM9. Everything working great: camera, wifi etc. (I admit I have to check tethering…). I AM NOT RESPONSIBLE IF YOU BRICK / RUIN YOUR PHONE IN ANY WAY. The instructions are provided only to show how reached my goal. Please follow them at your own risk. Stop if you are not in my same situation. Without an unlocked bootloader, you can’t install a custom kernel. Without a custom kernel, you can’t install ICS. As pointed out by Fabian in his comment, it’s safer to copy the files you’ll use at the end of the procedure when your phone is still fully functional. I presume you’re starting from the very beginning, so I think you have a locked bootloader. This is the most difficult and dangerous step. The risk is that the phone get bricked. Be careful. Probably you should read the full story here. There are reported some incompatible situations. If you have never unlocked your bootloader, probably you can go on as I did. The software you downloaded is written for Windows types of operating systems. I rewrote the cmd script and made a bash script. Many kudos to xda forum user “the_laser”, I just translated his work. 2012-08-06 16:55:52 msm7227_semc Removing NAND MPU restrictions via SEMC backdoor. Permanent. You have successfully unlocked your bootloader and now you can now install a custom kernel. You’ll need flashtool utility and the ftf image file containing the kernel to flash and the recovery software. boot the phone and repeatly push the back button to enter recovery menu. ClockworkMod must be installed and should come up. You must see nAa kernel logo. If you find yourself in troubles, keep in mind that everything can be repaired with a full system restore through SEUS. At this time you have an useless phone which cannot even properly boot. It’s time to flash MiniCM9. If you followed all steps, you are now in ClockworkMod Recovery menu. On the step number 0, you should have copied the files on the phone’s SD card. It’s time to use them. The first boot can be a little slower. 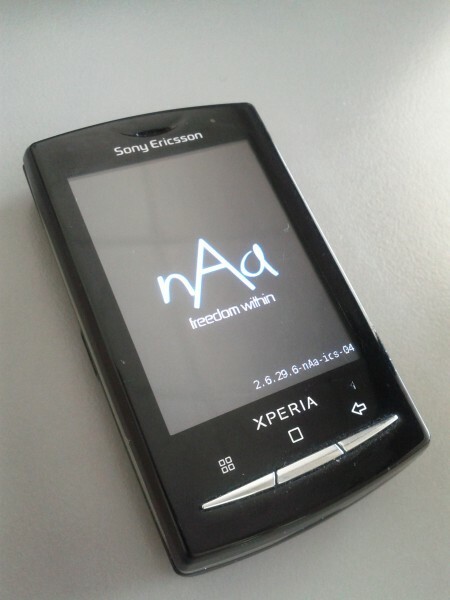 I saw nAa logo, than CyanogenMod boot animation for about 5 mintes, than the first use Android wizard. If everything went well we reached our goal. I found that ICS for Xperia X10 Mini Pro is fast and stable. You can always revert back with a full restore or you can just install a different ROM. I found that the only reliable way to restore a stock ROM on this phone is SEUS. Update your phone for optimal performance and get the latest enhancements. Regardless if you have the latest software, it is a good routine to run Update Service to improve software stability. Also, if you experience problems with your phone this may be solved by a software update. In the real world this piece of software can be used to restore the stock ROM. It takes care to download everything you need from Sony servers. It’s a Windows software that was easily accessible from sony site, but now it’s quite hidden in their pages. The official page is accessible from here. The direct url I found to download the software is this. I hope it’s useful to you as it was to me. CWMInstaller-Linux-v4.zip: download from here or from my mirror. The package is done to allow anyone to easily install the whole thing, but I wasn’t able to use the script. You can see what I did to manually achieve the result. 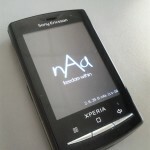 When booting your phone and when the “Sony Ericsson” letters appear (not the logo), press and release continuously the “back” button. Once you are in the CW recovery, use the volume keys to navigate upwards / downwards, the “home” or “camera” button to select, the “back” button to go back. Go to “backup and restore“, “backup” and wait at least 3 minutes (on an empty device). Now you are ready to install some new ROMs on your device.